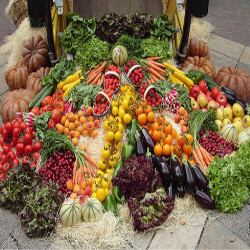 A wide variety of locally grown foods, also organic, is available at the farmer's market of Castenaso: fruit and vegetables, milk, cheese and dairy products, jams and marmalades, honey, bread and baked goods, cold meats and many other things to be sold directly from producer to consumer. The aim is to promote the rediscovery of the link with the territory and the reduction of transport costs, thereby respecting the environment. The initiative is organized by the Comune di Castenaso, in collaboration with Coldiretti Bologna, C.I.A. and Pro loco di Castenaso. Organization: Assessorato alle Attività Produttive of the Comune di Castenaso, in collaboration with con Coldiretti Bologna and C.I.A.